"There IS some alienation and indeed some class gaps in Japan too but violence, and taking what belongs to others, are simply not culturally approved or supported," White said in an e-mail. Pflugfelder is in Japan for a conference and has witnessed the calm response in Tokyo firsthand. Tokyo is hundreds of miles from the 8.9-magnitude earthquake’s epicenter and the widespread devastation. Pflugfelder was inside the National Diet Library when the earthquake struck. “The fact that the library decided to let people stay an hour and a half past closing time was one of the first things that made me realize the scale of the disaster because that kind of departure from schedule, from the norms, is quite unusual,” he said. The orderly lines that formed when the subway reopened around midnight also made an impression on Pflugfelder. The communitarian spirit at the foundation of Japanese culture seems to function even more efficiently under the stress of disaster, he said. The natural American inclination is to operate independently. “So you do everything you can to protect your own interests with the understanding that, in a rather free-market way, everybody else is going to do the same. And that order will come out of this sort of invisible hand. 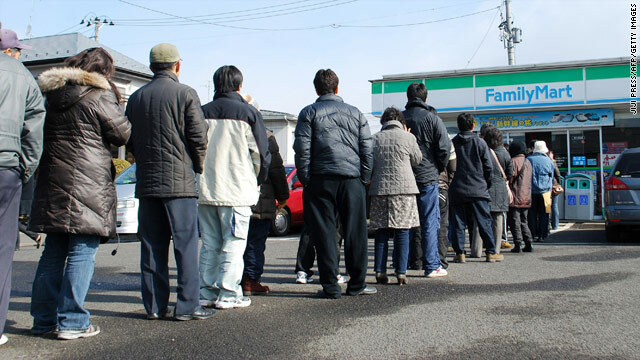 Will this social attitude help Japan recover from this disaster? "In a word, yes." Sorry but I remember the blackouts in NYC . Their was no looting and fires in my neighborhood. But the black neighborhoods were destroyed with looting and rioting etc. Now can anyone tell me why, OH and it was not because we were in a rich area, we were just in a white neighborhood! Love it . I have been looking for something like this . Wonderful information I will check back for more info about Liquid Diet.